When terminated in 47k which is the standard input impedance of MM phono preamps the equivalent input impedance of each one would be: MC10 500 ohm / MC16 200 ohm / MC20 140 ohm. 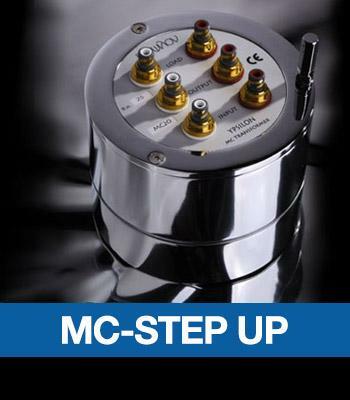 The MC step up transformers were developed in conjunction with the Ypsilon VPS100 phono preamp. They can be used with most of the moving coil cartridges. For optimum performance the MC transformers can be used within a specific range of cartridge output levels.